It's time for another episode of 205 Live on the WWE Network! It's a new era in 205 Live, and the new General Manager Drake Maverick has announced a Cruiserweight Title Tournament which will culminate at WrestleMania. Buddy Murphy will make his 205 Live debut when he takes on Ariya Daivari. 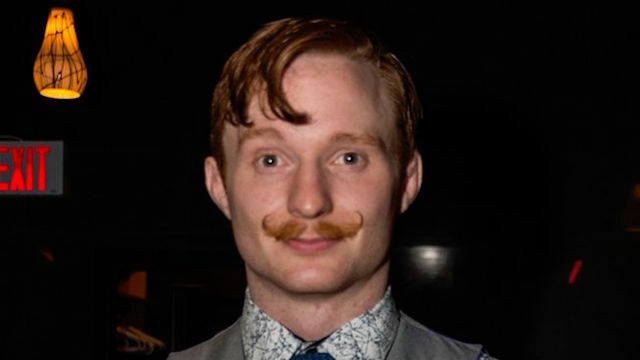 Also in first-round action, Jack Gallagher will face Mustafa Ali. Who will advance in the tournament? Tune in for all the details after Mixed Match Challenge ends on Facebook Watch. 10:24 PM ET: Last week on 205 Live, Mark Andrews made his debut and won his match to advance in the tournament. Also, Drew Gulak found his aggressive side to win his match and advance as well. Tonight is the final night for first-round matches! Vic Joseph and Nigel McGuinness briefly welcome us to the show and we are underway with the first match. Pre-match, Daivari makes fun of Buddy Murphy having to cut weight to make the right amount to compete in the cruiserweight division. Last night, Murphy had his final weigh-in and he is at 200.9 lbs, even though he was just announced at 202. Aggressive lock-up at the bell, Daivari with a side headlock, Murphy hits a shoulder block, Daivari back to the headlock, Murphy backs him into a corner, and a clean break. Daivari kicks him, Murphy hits another shoulder block, cartwheels, jumping hurricanrana and Daivari rolls out the ring. Murphy slides out the ring, hits a forearm, slams his head on the apron, throws him back into the ring, Daivari rolls onto the apron, goes for a kick, Murphy blocks it, goes for a scoop slam, Daivari floats over him, grabs him by the hair and drops him back-first onto the apron with an inverted DDT. Daivari shoves Murphy's back into the steel steps, brings him back into the ring, covers, and only gets a 1-count. Daivari chops him, hard Irish whip to a corner, shouts something in Farsi, hiptosses him into the turnbuckles, covers for a 2-count, then puts him in a rear chinlock. Murphy gets to his feet, counters with a jawbreaker, upkick to the head, sticks his boot up in a corner, hits a missile dropkick from the middle ropes, clothesline, back elbow, jumping calf kick, kips up, gets tosses onto the apron, jumping kick to the head, gets on the top rope, but Daivari rolls out the ring. Murphy hits a somersault plancha, quickly throws him back into the ring, goes back up top, connects with jumping knees to the shoulders, covers and gets 2.5! Daivari shoves him out the ring, catches him with a discus forearm as he gets back in, gets on the top, connects with the Persian Lion (frog splash) and gets a near-fall! Murphy ducks the hammerlock lariat, rolls him up for 2, Daivari superkicks him, connects the hammerlock lariat turning him around, and gets the 1-2-KICKOUT! Daivari is in SHOCK, pleads with the referee about the count, and now has an angry look on his face. Murphy lands on his feet from a back suplex, hits combo strikes, kicks, stomps on his foot, high knee, then does a PUMPHANDLE into a DEATH VALLEY DRIVER FOR THE 3-COUNT! WINNER and Advancing in the Title Tournament: BUDDY MURPHY. Murphy shouts that 205 Live is his division now, and he stares at the abeyant WWE Cruisrweight Champion at ringside. Nigel notes that all the superstars who've made their debuts on 205 Live have made statements in this tournament. Backstage, 205 Live Generel Manager Drake Maverick finally presents the quarterfinal brackets for the tournament. In two weeks, Buddy Murphy will face the winner of tonight's main event between Gallagher and Ali. Also in two weeks, Drew Gulak will take on Mark Andrews. Next week, Kalisto will face Roderick Strong, while TJP will face Cedric Alexander. Both TJP and Alexander show up and talk a little trash to each other ahead of their match. It looks like we're having a BONUS match! Kalisto heads over to the announce table excitedly talking about his upcoming quarterfinals match next week with Roderick Strong. Dorado starts out with the first man named Evan Daniels, puts him in a side headlock, flies all around the ring, dropkicks him, lands a jumping hurricanrana and follows up with a standing moonsault. Dorado with an arm wrench, his opponent escapes hitting a forearm, tags out to his partner Corazon Delgado, so Dorado gives him a back body drop. Metalik tags in and they both kick him after a double hiptoss. Metalik counters a headscissors with a facebuster then connects with a missile dropkick off the ropes. Daniels pulls Metalik's legs for a distraction, gets the tag, clubs him on the back, mocks the Lucha Lucha taunt, hits a forearm, but Metalik comes back with a dropkick. Both sides make the hot tag, Dorado hits a chop, spinning heel kick, swinging facebuster, gets tossed onto the apron, jumping legdrop over the middle ropes, and hits a diving crossbody. The count gets broken up, Dorado hits the Golen Rewind (handspring stunner) to both men, then both Dorado and Metalik hit simultaneous suicide dives. Dorado finishes the match with a Shooting Star Press and gets the win. WINNERS: TEAM LUCHA. We get comments from Drew Gulak talking about his match with Tony Nese where people complained that he went too far last week, then tells his opponent for next week Mark Andrews that he will be grounded and tap out. Andrews replies saying he's psyched to move on to the next round and that he won't be grounded and will move on in the tournament. Both Ali and Gallagher are warming prior to the match which is next. Commercial airs for NXT tomorrow night - Johnny Gargano challenges Andrade "Cien" Almas for the NXT Championship, but will leave if he loses the match. The bell dings, the main event is underway, they circle the ring, lock up, Gallagher backs him to the ropes, and a clean break with a staredown. They go for a knuckle lock, Ali with an arm wrench, Gallagher counters and takes him down, bends his arm while in a wristlock, Ali reverses it, Gallagher counters with a hammerlock, Ali counters with an armdrag but Gallagher keeps the wristlock on. Buddy Murphy is watching backstage to see who will face next in the tournament. Ali flips around to escape but Gallagher maintains the hold. Ali is back up, Gallagher with a side headlock, Ali pushes him off, Gallagher hits a shoulder block, Ali goes for a leapfrog, Gallagher catches him and drops him with the armbar locked on, and Ali makes it to the ropes for a break. Gallagher mocks him, Ali puts him in a side headlock, takedown, Gallagher escapes, Ali goes back to the headlock, Gallagher counters looking for a suplex, Ali lands on his feet and goes back to the headlock, Gallagher rolls through, Ali rolls him up into a single-leg crab, Gallagher kicks him and does the leg-twist mokey flip. Gallagher does the headstand in a corner and waves at him, Ali flips over him and waves back, Gallagher charges, Ali puts his shoulders down for 2, Gallagher counters for 2, Ali counters for 2, Gallagher counters for 2, Ali counters for 2, Gallagher counters for 2, back and forth, and they have a stalemate with scattered applause. Gallagher puts him in a front facelock, Ali backs him into a corner, Gallagher reverses the position, Ali switches, Gallagher switches back, not-so-clean break as Gallagher shoves him, headbutt to the gut, Ali blocks a kick and hits a spinning heel kick that sends him out the ring. Ali goes for a baseball slide, Gallagher lifts the ring apron and pummels him (a la Finlay) then gets back in the ring as the referee checks on Ali, the ref starts his count and Ali makes it back into the ring at the count of 6. Gallagher hits a running back elbow, covers for 2, puts him in a chinlock, Ali gets back to his feet, Gallagher delivers a snap suplex, hits a couple of elbow drops, covers for 2, Ali tries to fight back, but Gallagher hits headbutts to the midsection. Ali flips over him out of a corner, knocks him down, Irish whip reversed, pop-up dropkick, jumping hurricanrana, floats over onto the apron, kicks him in the head, hits the slingshot rolling facebuster, goes to the ropes, Gallagher grabs his leg, Ali kicks him off, starts to climb, but Gallagher punches him to stop him, climbs up with him, drops his arm over the ropes then quickly throws him shoulder-first into the ringpost. He quickly throws Ali back into the ring, immediately makes the cover, gets a 2-count, then puts him in a double wristlock with a headscissors. Ali counters with a roll-up for 2, Gallagher kicks him in the elbow, slams his arm on the mat, delivers a hammerlock scoop slam, covers for 2, then puts him back in the hammerlock. Ali sends him to the floor, dropkicks him off the apron, holds his arm in pain, goes for a corkscrew plancha but botches and crashes on the apron and down to the floor! Gallagher gets back in the ring, Ali makes it back in at the count of 9, Gallagher sets him up on the ropes, Ali pushes him off, goes for the crossbody, Gallagher rolls through and puts him in an armbar, Ali escapes, Gallagher whips him into a corner, Ali goes for a springboard crossbody but Gallagher counters with the Fujiwara armbar! Ali finally puts his feet on the ropes to break the hold, tries to recover on the apron, Gallagher goes after him, Ali fights him off, Gallagher applies the armbar while on the ropes, Ali headbutts him and starts to climb up the turnbuckle, but Gallagher hits the Gentleman's Dropkick knocking him off the ropes and CRASHING BACK-FIRST into the barricade! The referee checks on Ali, but Gallagher throws him into the corner of a barricade shoulder-first, throws him back into the ring, hammerlocked scoop slam into the turnbuckles, drags him to the middles of the ring, covers and gets 2.9! Gallagher tries for a cross armbreaker, Ali blocks it, Gallagher hits repeated elbows to the shoulder/neck area and covers for a near-fall. Ali's eyes are glossy, Gallagher sets him up on the top rope facing the crowd, goes for a back superplex, Ali lands on his feet from the attempt, superkicks him in the back, hits a springboard tornado DDT, goes back up to the top rope, connects with the 054 (inverted 450 splash) and gets the 1-2-3!! WINNER and Advancing in the Title Tournament: MUSTAFA ALI. Nigel McGuinness is giving Ali a standing ovation. With this win, Mustafa Ali will now face Buddy Murphy in the quarterfinals. Next week in the quarterfinals, TJP faces Cedric Alexander in one match, and in the other Kalisto takes on Roderick Strong! That's all for this week's 205 Live!